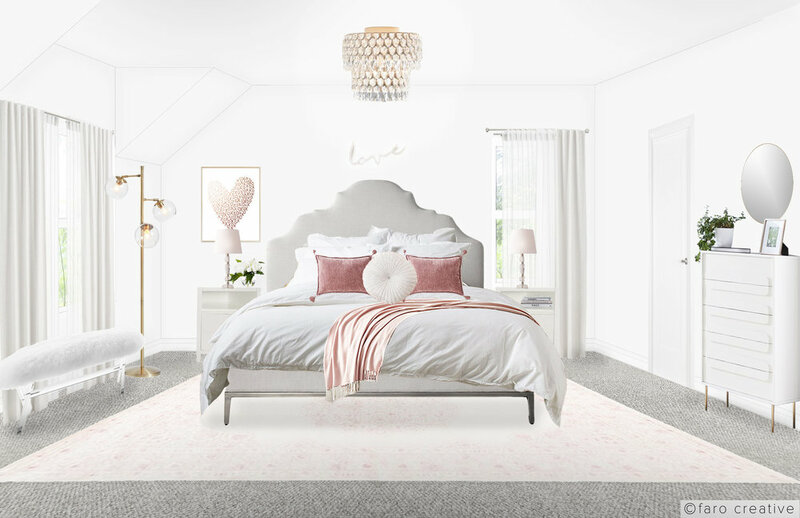 For this project, the client was looking to upgrade her young daughter's bedroom from a childhood rec room to a simple yet glamorous teenage retreat. We kept the color palette fairly neutral, but added little pops of shades of pink and gold for a feminine edge. Working with existing pieces like the bed, desk, and nightstands, we created a cozy, elevated space that any young woman can grow into and make her own for years to come.